Explanation: If seen in the right light, Saturn glows like a neon sign. Although Saturn has comparatively little of the element neon, a composite image false-colored in three bands of infrared light highlights features of the giant ringed planet like a glowing sign. At the most blue band of the infrared light featured, false-colored blue in the above image, Saturn itself appears dark but Saturn's thin rings brightly reflect light from our Sun. Conversely, Saturn's B ring is so thick that little reflected light makes it through, creating a dark band between Saturn's A and C rings. 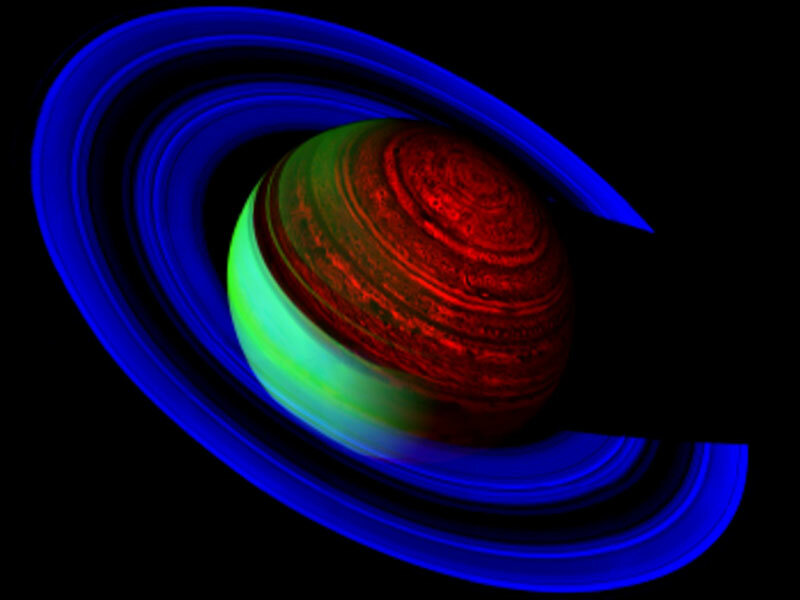 At the most red band of the infrared, false-colored red above, Saturn emits a surprisingly detailed thermal glow, indicating planet-wide bands, huge hurricane-like storms, and a strange hexagon-shaped cloud system around the North Pole. 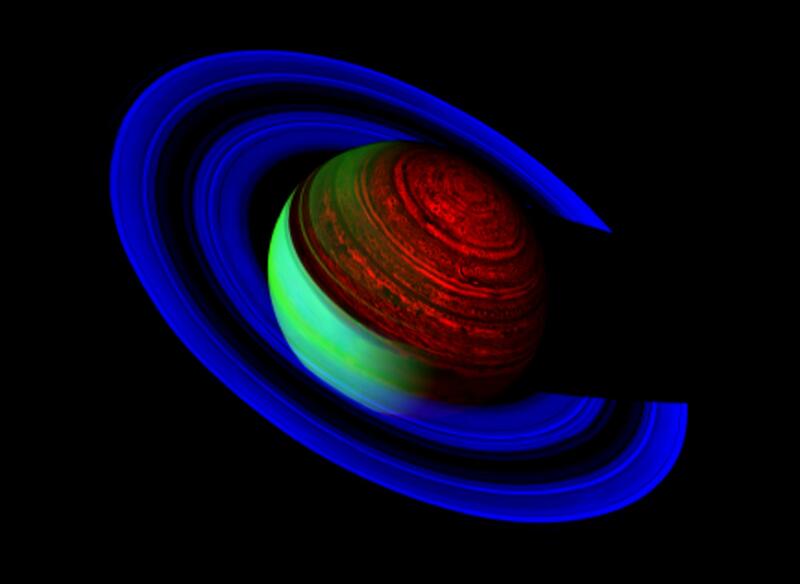 In the middle infrared band, false-colored green, the sunlit side of Saturn's atmosphere reflects brightly. The above image was obtained in late February by the robotic Cassini spacecraft orbiting about 1.6 million kilometers out from Saturn.